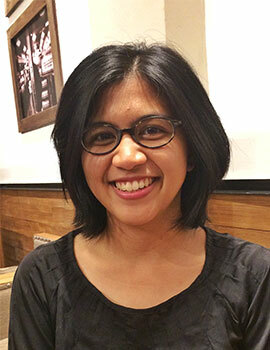 Andrea Andjaringtyas Adhi is a Research Manager at J-PAL Southeast Asia where she currently works on managing several projects in Indonesia. Currently, she is responsible for managing some exploratory studies on urban transportation and drug rehabilitation program and an evaluation on the empowerment of migrant workers. Prior to this role, she served as a Research Associate on village governance study. She was responsible for overseeing an evaluation on mobile banking and financial inclusion among women. Prior to joining J-PAL Southeast Asia in 2016, Andrea worked at the Republic of Indonesia’s National Team for Acceleration of Poverty Reduction (TNP2K) where she was involved in monitoring and evaluation of social protection programs for more than two years. She was a Young Southeast Asian Leaders Initiative (YSEALI) Professional Fellow in 2014. Andrea holds a bachelor’s degree from Universitas Gadjah Mada and a master’s degree from Boston University, both in economics.